Usage notes: Are you superstitious – even just a little? 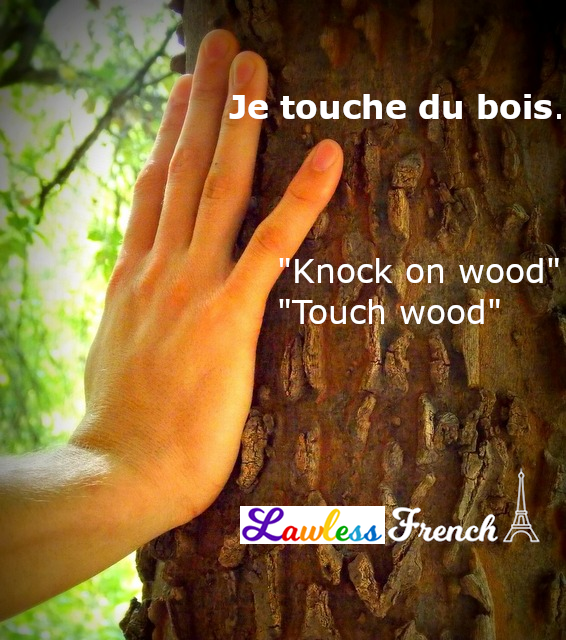 If so, you’ll find the French expression toucher du bois very handy, as it’s the French equivalent of "knock on wood" for Americans and "touch wood" for Brits. Wherever you’re from, there’s a good chance that when talking about how well something is going, you start to feel a little uneasy until you knock on or touch something made of wood. Tout va bien pour le moment, je touche du bois. Everything is going well at the moment, knock on wood. – Je viens de me marier, j’ai un emploi intéressant et bien payé… ma vie est parfaite. – Touche du bois ! – I just got married, I have an interesting and well-paid job… my life is perfect. 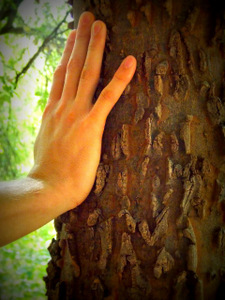 When there’s no wood around, the French say je touche du bois while touching their own heads. Note that une tête de bois = stubborn / hard-headed person. Toucher la peau du singe (literally, "touch the monkey’s skin") is used for exactly the same reason, but you say it while touching a friend’s head.